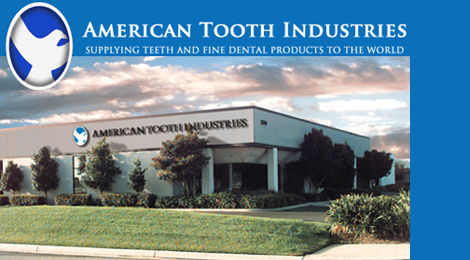 American Tooth Industries, located in Oxnard, California is comprised of several product divisions including: Justi, Pozzi, Leone Ortho, Leone Implants, Major and Regal. 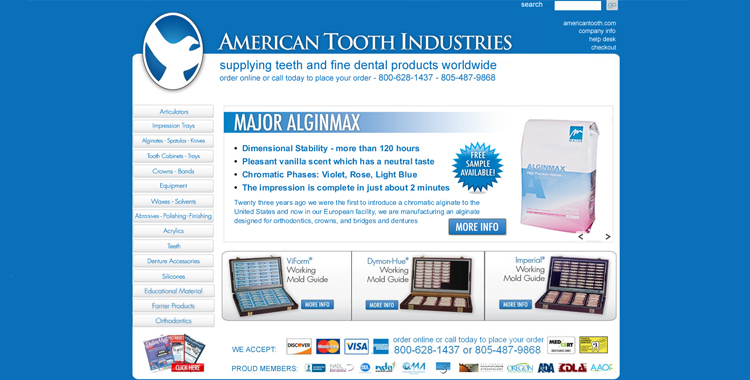 Visit the official American Tooth Industries Online Store. Find a complete catalog of Justi Products, Pozzi Dental Products, and more. 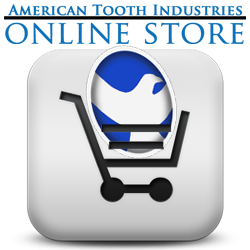 Use the quick and easy shopping cart for all of your purchasing needs. Supplying Teeth and Fine Dental Products to the World.